With this reasonably priced drive package you can upgrade all WEDICO models to the driving model. The package is also ideal for DIY. 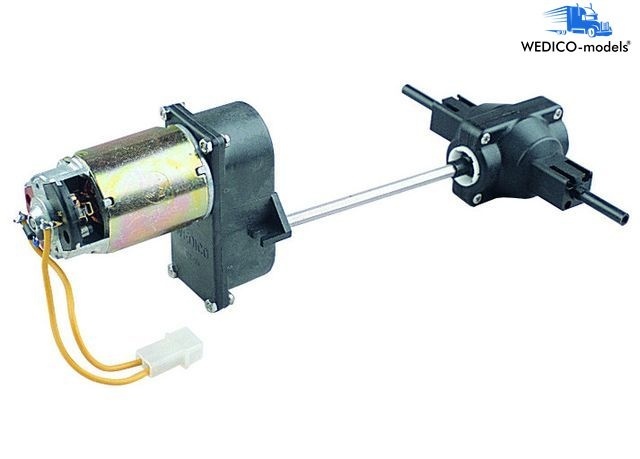 The Bühler motor manufactured especially for WEDICO is extremely powerful and at the same time very energy-efficient! Here is enough a speed controller with 5-10A continuous current. The drive is designed for trucks and very sensitive in approach behavior. 1x WEDICO Buhler engine 12V, 1x gearbox, 1x drive shaft, 1x differential. 293 points will be rewarded to you when you buy this item.